SeaDream Yacht Club has introduced pre- and post-voyage land trips to Machu Picchu with its 2013 Amazon River cruises. SeaDream II will sail the Amazon beginning Feb. 10, departing from Barbados. The Amazon cruises are offered both as 20-day voyage from Barbados to Iquitos, Peru, or two 10-day voyages from Barbados to Manaus, Brazil, or Manaus to Iquitos. New in 2013 are two seven-day Upper Amazon voyages sailing roundtrip from Iquitos. 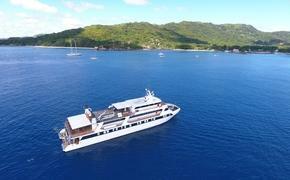 In total, SeaDream offers eight Amazon voyage options in 2013. Voyages 21308, 21310 and 21311 offer a four- or six-night pre-voyage program. Voyages 21307, 21308 and 21310 offer three- and five-night post-voyage programs.